New York-based auction house Sotheby’s is all set to auction a rare portrait of Sikh ruler Maharaja Ranjit Singh on March 24. Painted by celebrated artist Sobha Singh, the artwork has a reserved price of Rs 2 crore. Art lovers in Punjab want the Shiromani Gurdwara Parbandhak Committee to stop the auction but the latter says it does not plan to do so. On the other hand, eyebrows are also being raised regarding the authenticity of the portrait, with questions being asked if the art piece is the one that was “smuggled” out of the Sikh Museum in Golden Temple in 1984. There were reports that the painting was taken away by a few NRIs after it was damaged during Operation Blue Star. “We have come to know about the auction but have no plans to buy the portrait,” said SGPC secretary Dalmegh Singh. Regarding the possibility that this is the same art piece that was taken away from the Sikh Museum, he said he had heard such talks but no inquiry was ever conducted. “The museum was badly damaged during Blue Star. However, we are not sure if the portrait was taken away from the museum,” said Singh. Dr Hriday Pal Singh, Secretary, Sobha Singh Memorial Art Society, Kangra (Himachal Pradesh), said they had received information from Sotheby’s regarding the action. 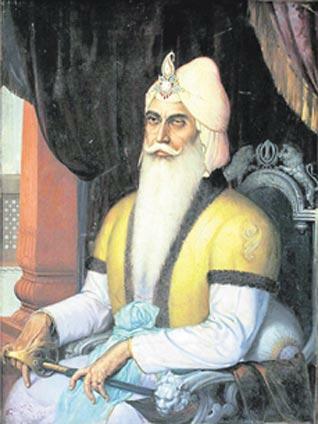 “We got an e-mail recently that the painting of Maharaja Ranjit Singh by Sobha Singh will feature in the auction. They also asked if we were interested in it, but we want that the authenticity of the art piece is confirmed first,” said Hriday Pal, who is also Sobha Singh’s grandson. Singh said he had seen the portrait on Sotheby’s website and to his surprise the signature of Sobha Singh had been erased. “Though I am sure the portrait is the one made by my grandfather, his missing signature is surprising,” he said, adding that the 39/29-inch oil-based portrait shows the Maharaja seated on a silver throne, wearing jewelry and a diamond on his turban, wit his famous sword resting on his legs. “There were many replicas of the portrait made and one of them is available with us at our gallery at Andretta village near Palampur,” said Singh. Apart from this portrait, the Sikh Museum also had a portrait of Guru Nanak commissioned in 1969 on his 500th birth anniversary. This portrait is missing too. 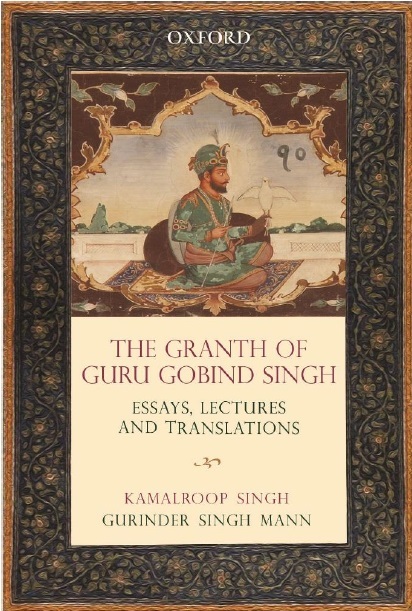 “We had requested the SGPC to set up a separate section in the museum in the name of Sobha Singh and place his above 50 rare portraits, but there had been no response,” said Dr Hriday Pal Singh, adding that such a separate section had been built in the Chandigarh Museum.